214, Rue Saint Jacques, Quartier Latin, 75005, Paris, Paris, Ile de France, FRANCE. 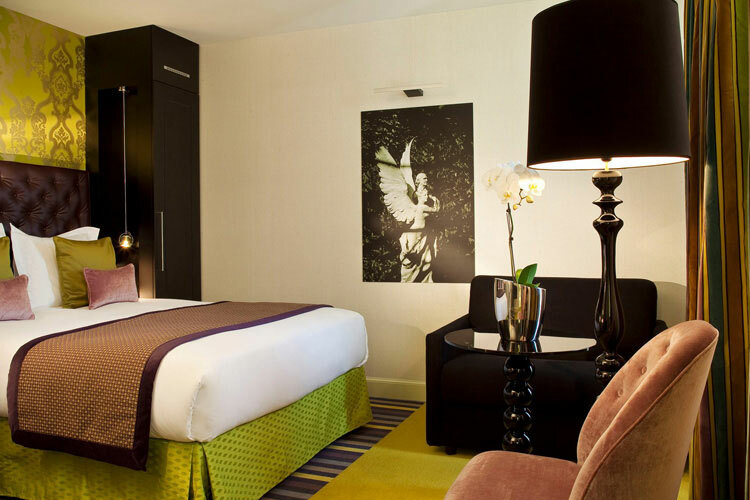 The Hotel Petit Paris, where Jim Morrison stayed in 1970, is luxury accommodation ideally located for walking to some of Paris' historic highlights, such as the Luxembourg Gardens, the Latin Quarter and Notre Dame. The Eiffel Tower and the Champs Elysées are only twenty minutes by metro, but can be reached on foot after an hour's romantic river walk along the Seine. 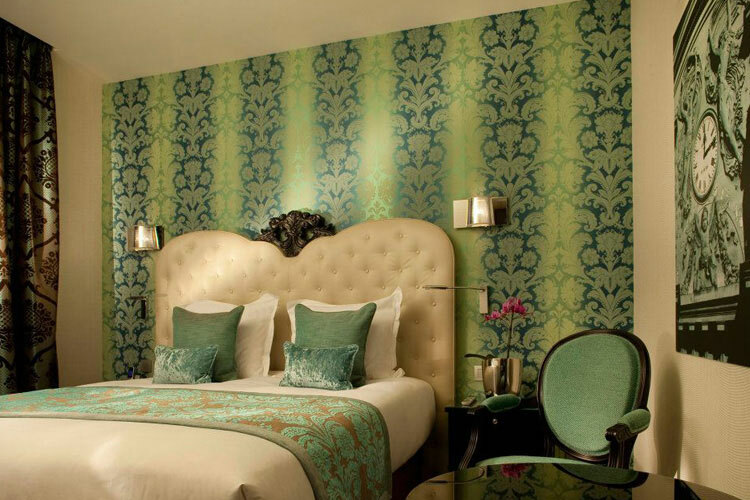 The Hotel Petit Paris has its own fascinating history hiding behind its beautiful 18th century façade: during Louis XV's reign it was a coaching inn inside the city's ancient walls; under Napoleon III it was a family home and in the Belle Époque it was a second home to the artists of Montparnasse. 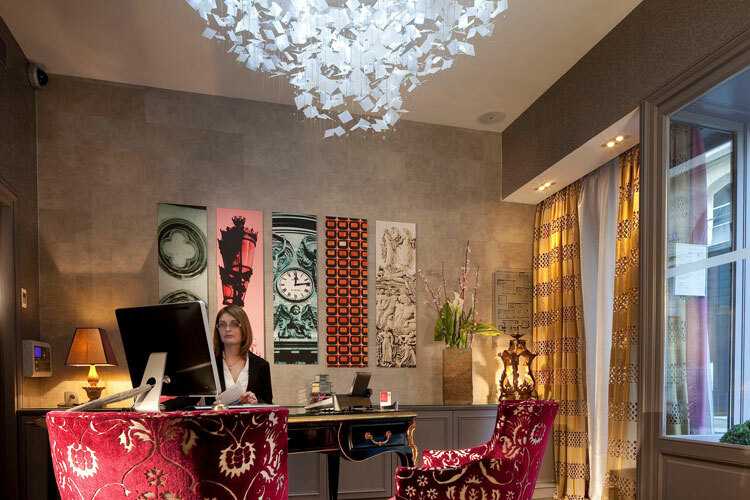 This exclusive five star boutique hotel with interiors by Sybille de Margerie has themed rooms reflecting the five great eras of Paris: Medieval, Louis XV, Napoleon III, the Roaring 20s and the 70s. 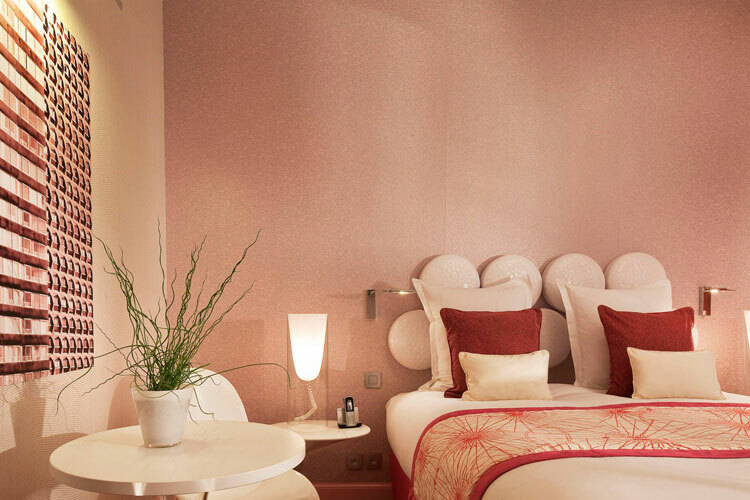 Every corner, every patch, every room of the Hotel Petit Paris is uniquely furnished combining silks and velvets with contemporary lighting and superb furniture. 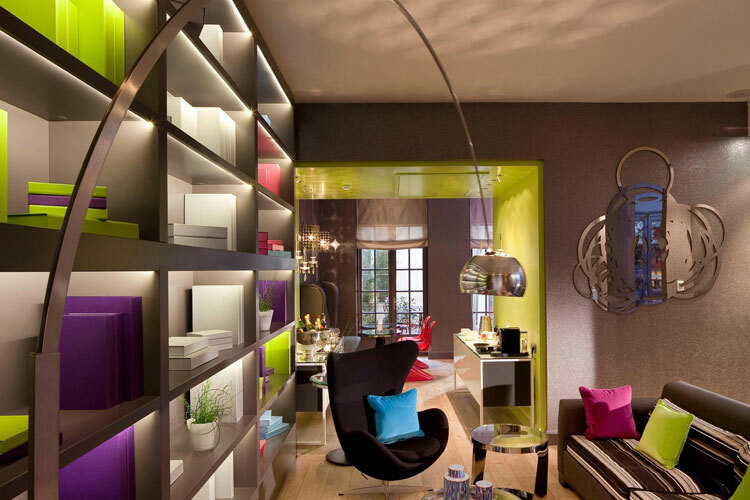 The Hotel Petit Paris offers 20 rooms, which are all incredibly comfortable, only differing in terms of size. 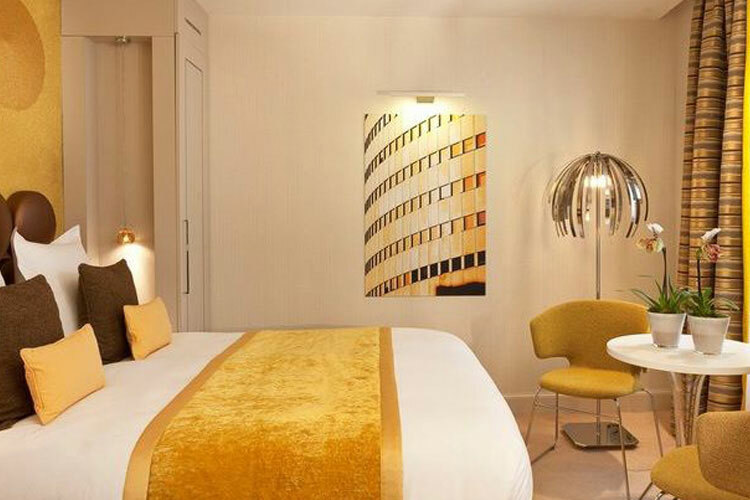 All rooms are equipped with individually controlled air-conditioning and heating, triple glazing and LOEWE flat screen satellite TV with 70 international channels. 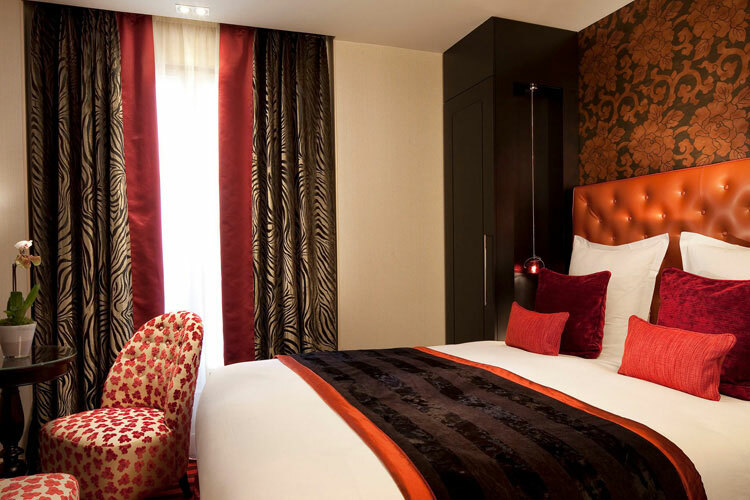 Classic Double Room: accommodates 1 to 2 persons. Superior Double Room: accommodates 1 to 2 persons. 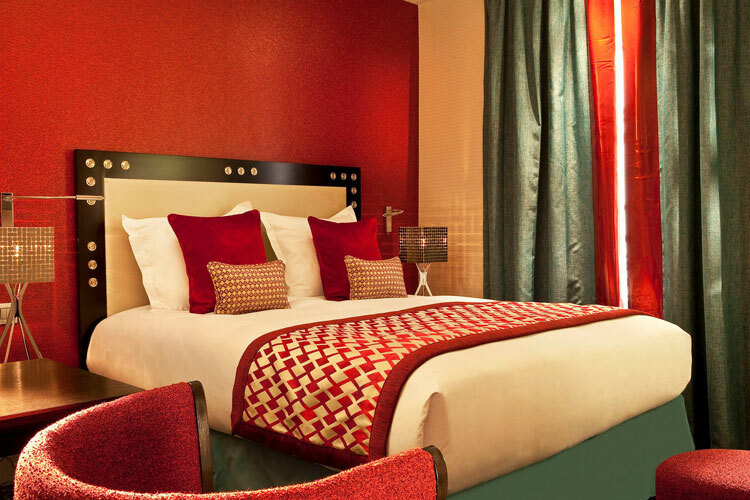 Deluxe Double Room: includes one suite and accommodates 1 to 4 persons. Some Deluxe rooms have terraces. 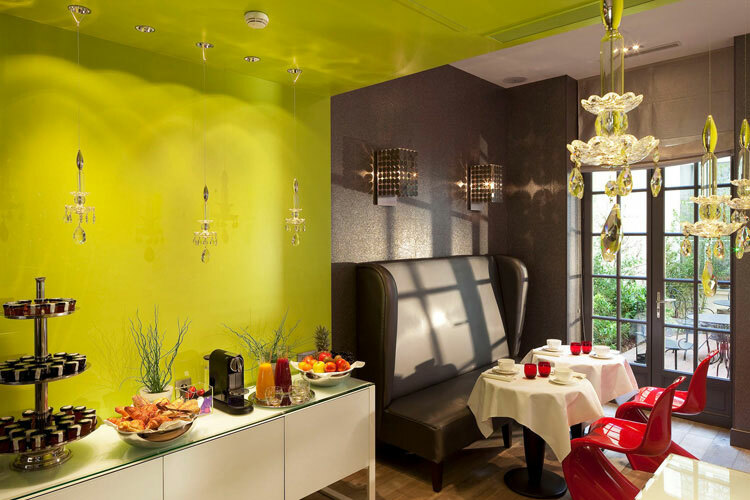 A buffet breakfast is served every morning in the stylish breakfast room. 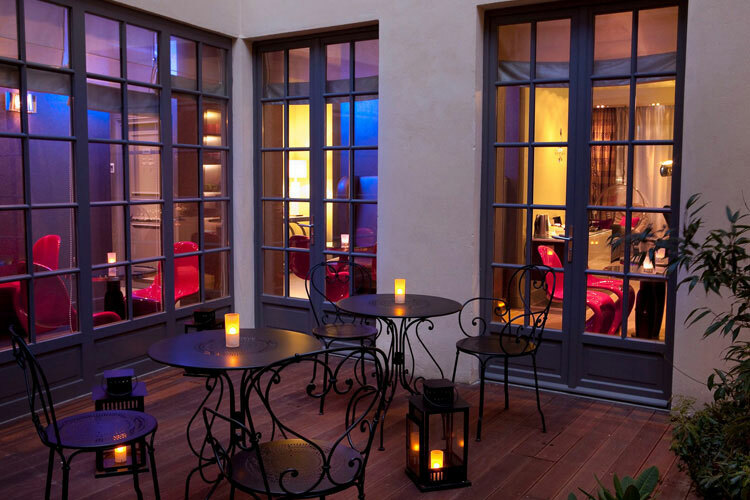 Drinks are available in the bar or lounge, where guests can take advantage of the hotel's free wifi. Pets are allowed on request with no extra charge. Rates include tax but not breakfast. If cancelled more than 5 days prior to check-in date, no cancellation fee. If cancelled 5 - 0 days prior to check-in date, the first night is charged. Year of establishment and/or latest refurbishment: 18th Century/2009. Nearest airport: Paris-Orly - 13 km.